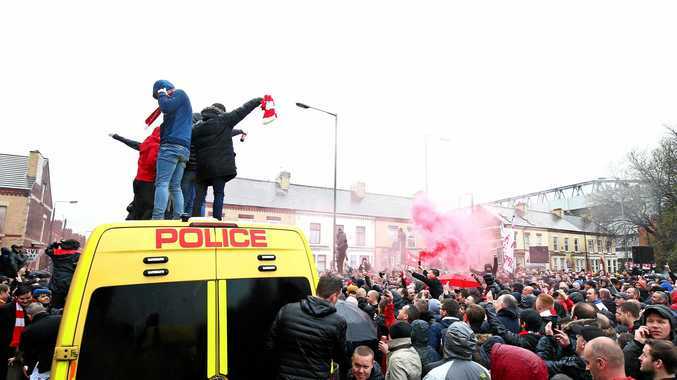 Liverpool fans let loose outside Anfield stadium prior to the UEFA Champions League semi-final first-leg match between Liverpool and AS Roma in Liverpool. AN ITALIAN football fan has been jailed for two and a half years after an outbreak of violence that left a Liverpool supporter seriously injured ahead of a Champions League semi-final earlier this year. AS Roma supporter Daniele Sciusco, 29, from Rome, admitted violent disorder ahead of the Anfield match on April 24. On Friday, Preston Crown Court heard Irish Liverpool fan Sean Cox, 53, was still in a serious condition after suffering a head injury in the violence - although Sciusco was not directly involved in causing his injuries. Judge Mark Brown said during sentencing: "The Champions League semi-final was a major international football event that was being televised across Europe, and your actions and the actions of the Italian group tarnished significantly what was intended to be a sporting and enjoyable occasion. 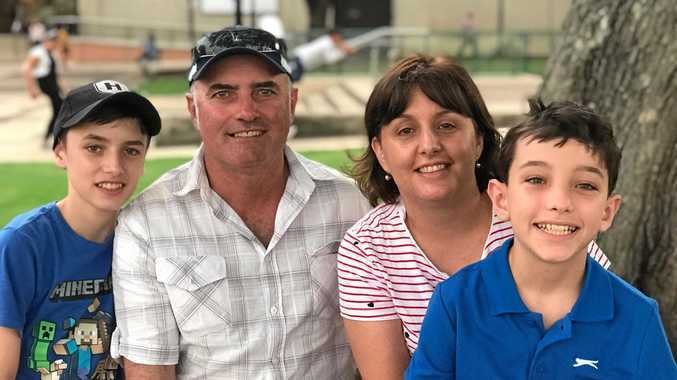 "It's important to stress you are not being sentenced for the dreadful attack on Mr Cox, but it did occur during violent disorder of which you were a part, and the impact on him has been catastrophic." The court was told Sciusco was part of a group of Roma "ultras" who had flown from Italy for the match. Prosecutor Keith Sutton said Mr Cox was out of a coma, but his condition remained "very dire". The court heard Sciusco was close by when Mr Cox was injured, but not directly responsible for the assault. Judge Brown said: "There were a lot of people around when the violence started - you and others in the Ultra group were armed with weapons such as belts and chains and you were threatening and were being abusive towards the Liverpool fans. Inevitably that was provocative." He added: "The police were faced with an extremely difficult situation. The police intervened and eventually the shocking and ugly events came to an end." Nigel Power, defending, said Sciusco worked at a large pharmaceutical practice and volunteered to teach pupils in schools and colleges to use defibrillators. Mr Power said the defendant, of previous good character, had not drunk any alcohol before the game. Filippo Lombardi, 21, denies violent disorder and wounding/inflicting grievous bodily harm on Mr Cox and is due to stand trial later this year.